Check out 20 gorgeous and stylish nail art ideas and get inspired this festive season! Sport a new design and celebrate the festival season with great fervor! Nail art is here to stay. A single hue on the fingernails is boring and highly monotonous. To break the boredom, the fashion and beauty trend-setters all over the world have now been making mini-paintings on the canvas like nails with geometrical shapes, metallic shades, caviar and negative spaces. These nail art designs are uber cool and tempting. You can match them with your outfit of the day. You can also sport a design basis the mood you are wearing that day! 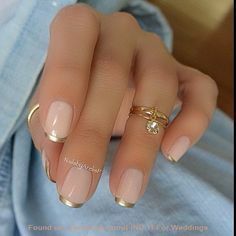 Take a look at the best of the best and extremely popular nail art ideas trending on Pinterest, the awesome social platform which is a visual treat of the sorts. Versatile, cute, elegant, beautiful and offbeat nail art designs are here to inspire you. Sport a funky one at a party and an embellished one on the Diwali cards party. The libertine nail art design (with stripes, checkers, and plaids) is achieved using a scotch tape. To achieve an amazing striping tape nail art design you would need scotch tape cut in thin, smooth strips and a steady hand. This nail art is elegant, unique and exquisite. You can achieve a simple design, like a stripe on each nail or go for something more complex like zig-zags in three different shades! You can also create a gradient but a more professional help is needed in this case. However, to keep your striping tape nail art design intact, apply a top coat, which will hold your tapes in place and prevent your nail art from ruining. 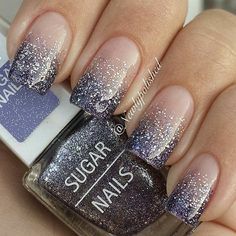 The heavily embellished look can be achieved by either applying a layer of a glittery nail polish as a top coat or gluing on some shimmery dust on the base coat. You can wear amazing glitter nail art designs on special occasions such as your own wedding, Navratri, Diwali, New Year Bash! The best combinations are black and silver shimmer, red and gold dust. To make it look classy, you need to apply a lot of precision. So, are you all set to add glamour to your everyday style? One of the most inspiring nail art ideas, French nail tips have got a modern twist. The pretty pink and sheer white is now boring. Add drama by drawing thin black stripes on the tips of a beige nail polish or opt for the colored French tips on a contrasting nail polish. Reverse French manicure is also become quite a trend these days. Team it up with a cocktail saree for a suave look! Also known by the name of rainbow nail art, this one is full of vibrancy, color burst, and positive energy. Dyeing your nails at home is an easy job. Some use soft bath sponge while others are happy to use an eye shadow applicator. You can also apply the water marbling technique to achieve the psychedelic tie-dye look on your fingernails. 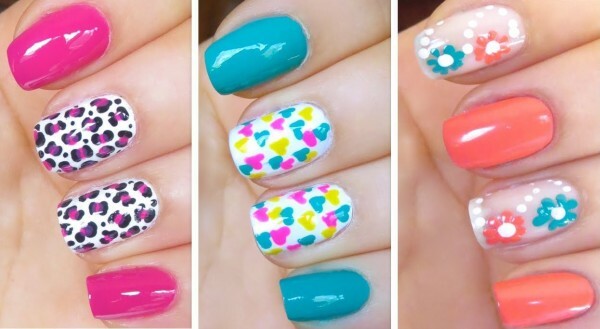 Here are a few more nail art ideas. Do tell us which one are you trying this festive season?